A 4-1 victory for Japan over Korea made little difference to the outcome of Group B - but it meant a huge amount to both competing nations. The All-Asia match-up between Korea and Japan was one of the hottest tickets in the women’s competition – and both teams had high hopes of making history. Japan, in its third Games, was out to record its first victory at this level. 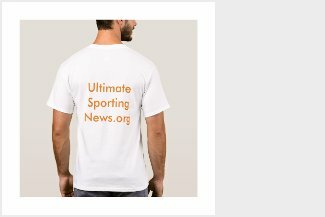 Korea, whose unified team had been one of the talking points of the first days of the Games, was desperate to at least record its first Olympic goal after two 8-0 losses. It took less than four minutes for Japan to squash home dreams of victory. In that time, goals from Hanae Kubo and Shoko Ono gave the Japanese a 2-0 lead – and made this the team’s highest-scoring performance in an Olympic group stage game. The previous best attempts, in a 3-6 loss to Russia and a 2-3 reverse against Germany, both came in Sochi’s classification round. Fittingly, the country’s leading scorer opened the account here. Haruka Toko’s pass from behind the net found Kubo out in front with plenty of time to pick her spot and beat So Jung Shin to open the scoring after 67 seconds. Korea’s problems continued, and a Japanese power play saw the lead doubled after Shiori Kioke’s shot was padded across the face of the net before dropping to a Japanese forward via Miho Shishiuchi’s stick. The angle was tight, but the net was wide open and Ono made no mistake. Those two goals set up a victory that means an enormous amount for Japanese hockey. Aina Takeuchi summed up her feelings: "We just focused on playing 100%, every single time, every single moment. This is a win at the Olympics. It's huge for us!" For Korea, badly mauled in its first two games, now was the time to dig in and avert the risk of an even more painful defeat against its local rival. Shin pulled off a smart double save, blocking Kioke’s effort from the blue line before getting a pad behind Chiho Osawa’s shot from the rebound, and there was a terrific saving block from Suyeon Eom, who got her stick down to deny Toko a shot at an empty net as Japan tightened the screws. But gradually, chances began to emerge at the other end, with Jingyu Lee looking lively. 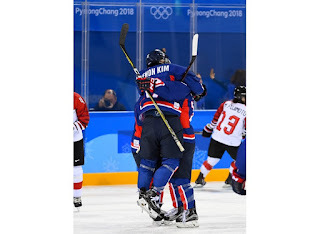 Her attempt on a breakaway was the toughest test for Japanese goalie Akane Konishi in the first period, and Korea’s finish to the opening frame gave the crowd hope that this game was still alive. Those hopes crystallised in the middle session when the crowd finally got a home goal to cheer. Randi Heesoo Griffin wrote her name into the history books with Korea’s first ever Olympic goal, halving the deficit in the 30th minute. It may not have been the prettiest the Games has ever seen – Griffin did well to hold off Yurie Adachi and get a shot off from inside the right-hand circle, but she did not strike it cleanly and benefited from a deflection off the inside of Konishi’s pad. But, for the Korean fans in the Kwandong Hockey Centre, it was a moment to treasure. The volume around the arena cranked up several notches, the pale blue outline of the Korean peninsular fluttered from a flag waved proudly by every hand; the excitement even momentarily ruffled the impeccable timing of the famous North Korean cheerleaders. But Griffin was not ready to turned into a hero. "I'm definitely not a hero," she smiled after the game. "It was a crappy shot that took a couple of bounces and went into the net. "The important thing is that our team put up a lot of offence. There were lots of shots with a chance to get to the net and I got lucky with mine." Seconds later, the noise threatened to go to 11 as Korea went close to tying the scores. Yoonjung Park came marauding out of defence and showed great skills with a dangle to open up the Japanese rearguard. Yunjung Choi fired in a dangerous shot, but Konishi was up to the task and Japan held onto its lead. Despite Korea’s little flurry, the balance of play still favoured Japan. The early stages of the third period saw Kubo go close again of Ukita’s feed, and Toko testing Shin from point blank range. Each Korean save set the noise going again, and opportunities at the other end – though few and far between – threatened to tip the crowd into delirium. In the end, though, Japan made the game safe with eight minutes left to play when another power play gave Koike the chance to shoot home from the blue line. 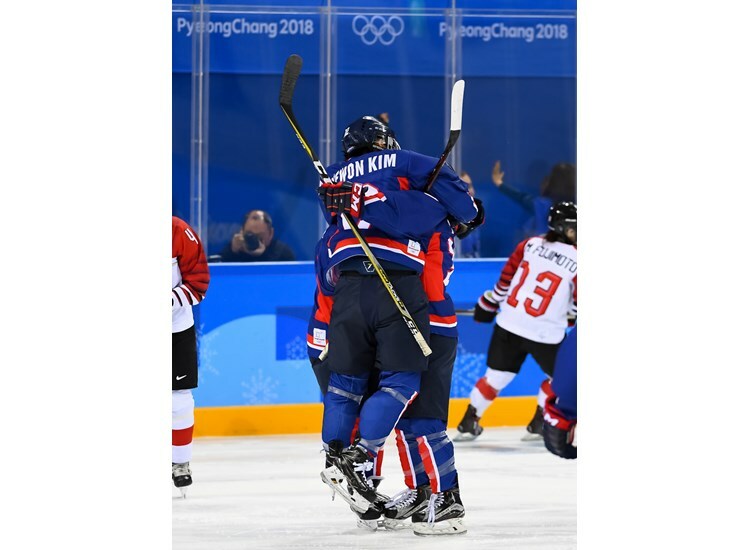 Korea pulled its goalie with just over two minutes to play, but was punished when Ukita forced a turnover and went on to score in the empty net. Her second of the Games took Japan to four for the night, and its highest-scoring show in Olympic action. "I think that third goal was really big," said Akano Hosoyamada. "This is a historical event. More younger generations are going to see this and want to be part of the program and part of an amazing feat on the Olympic stage." For Korea, though, there was a sense of pride despite the defeat. The home crowd was in no mood to let its heroes go, staying on after the hooter to cheer Sarah Murray's team off the ice amid a shower of plush toys. The unified team may have been defeated on the ice, but it clearly won its place in the hearts of the sporting public of PyeongChang. Both nations now go to the classification round, where they will be joined by the beaten quarter-finalists in a play-out to determine places 5-8 in this year's tournament.